The Google Assistant app can help with camera, battery and Bluetooth issues on Pixel 2 smartphones. It troubleshoots the device for resolving stated problems and offers connection to Google support if it’s unable to solve them. Google Assistant has been updated with a new feature that can help users troubleshoot their Pixel 2 and Pixel 2 XL smartphones. According to a report by Android Police, the feature works only works on the Pixel 2 smartphones for now and was spotted by a user running Android Oreo 8.1 developer preview on the Pixel 2 XL. When the user told the Google Assistant that the phone wasn’t charging fully, the smart assistant booted a troubleshooting process and checked the battery’s health. It also scanned for apps that might be causing battery drain on the smartphone. Having the Pixel 2 smartphone with us, we tried doing the same and as you can see in the screenshots below, the Google Assistant tried to resolve the issue. 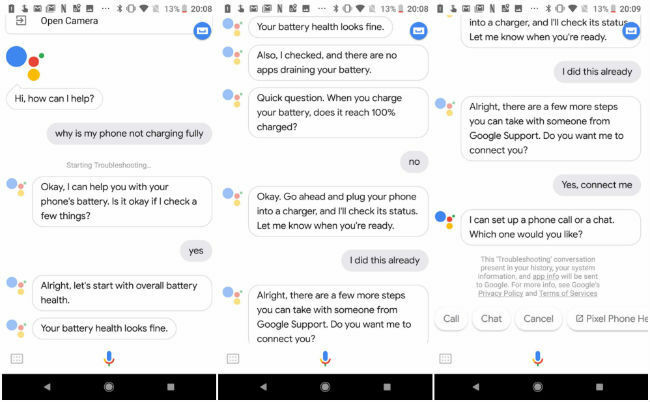 After a series of quick questions regarding the charging behaviour of the device, as it could not solve the problem, the Assistant referred the issue to Google Support for a resolution. It seems that the feature is still not perfect, as when provided with the phone number to call, it was unable to understand it. The report states that the feature could be exclusive to Pixel 2 users running the developer preview of Android Oreo, however, we were able to test it on our Pixel 2 with the updated November security patch. 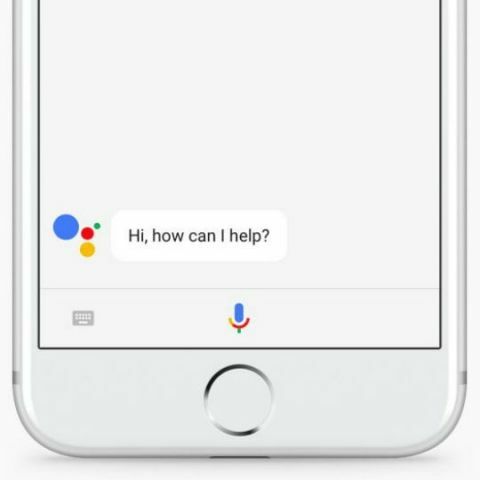 The Google Assistant can also be used for troubleshooting the smartphone’s Bluetooth connectivity and camera app. The new feature is expected to roll out soon for Android Oreo smartphones. can we increase RAM size in smartphones..?